During the past decade the garage door industry has embraced the ever-increasing popularity of sectional garage doors leading to the demise of the one piece garage door. But what did we do before sectional garage doors? Well, the old traditional one piece door was standard for years. A one piece door is a solid leaf that swings up and kicks out when you open it up and close it. Not long ago, the solid one piece doors where the industry standard and the idea of a sectional garage door was mostly seen in commercial facilities only. 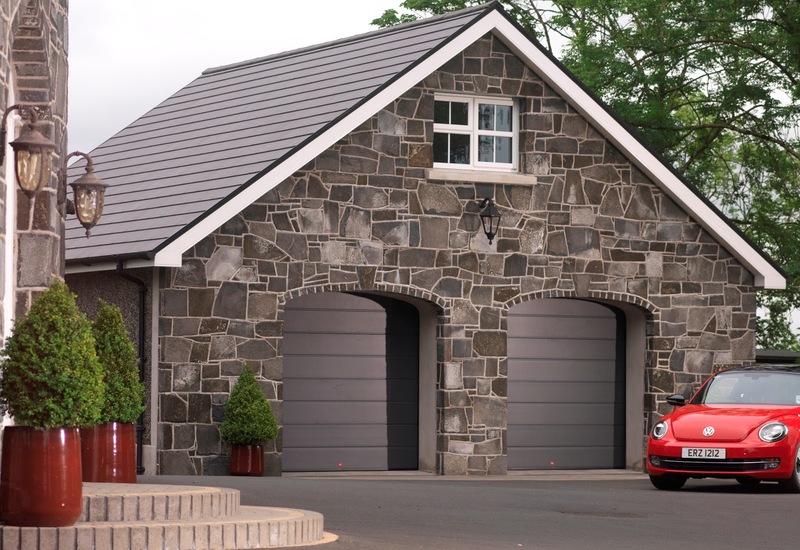 So the question is - why are sectional garage doors, now seen as the optimum solution for garages and what has led to the demise of the one piece door? Firstly, unlike the traditional one piece that was not draught proof, the sectional garage door can be insulated and draught proof. There is no need to worry about space or clearance when pulling up to the garage in a vehicle. A sectional garage door is hinged in three or 4 places and opens vertically in sections allowing for greater room in the driveway. Opening vertically their design allows for maximum headroom within the garage unlike the reduced headroom with a one piece door, ideal installation for 4x4s and MPVs. One piece doors were not well regarded for their rigidity and security in nature. Security however is inherent at every stage of the more modern sectional garage door design. Ultimately the demise of the one piece door was destined from the beginning. Customers have demanded more, and value the added benefits a sectional garage door has to offer.